After our in-depth conversation with Hamilton Harris about the Kids documentary that he’s working on—20 years after starring in it himself—we decided to follow-up with him and get an insider’s perspective on what it was like working on the original film. We asked him to tell us five things that the general public does not know about the movie Kids. He obliged us with some answers that are quite surprising, given how celebrated the movie is in popular culture. While this film launched the careers of A-list celebrities like Chloe Sevigny and Rosario Dawson, and has been written about in various mainstream publications including Vice and The New York Times, there is much about the film that is still unknown. 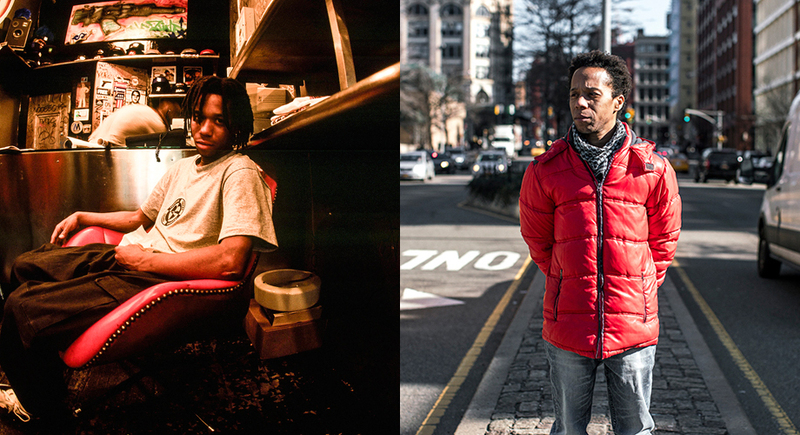 Hamilton Harris then and now. Both photos by Sammy Glucksman. HAMILTON HARRIS: Not every person in the group wanted to play a part in the film. There were many within our inner circle who wanted nothing to do with the film at all. The cast of Kids was actually close-knit group of friends. If they were not already hanging out on a regular basis at Washington Square Park or the Astor Place Cube, they certainly ran into each other at raves and clubs like NASA. Many of the people were given roles based off referrals from people who were already cast in the film. Some even just showed up on set and were put in the movie on the spot. Given the fact that Kids was shedding light on a little-known subculture at the time, some of the people involved in the New York scene were a bit skeptical about having their lives play out on the big screen. This makes you wonder what potential stars remain undiscovered because they passed on the opportunity to gain mainstream exposure. The scenes with Justin Pierce drinking 40 ounces of malt liquor were really apple juice. 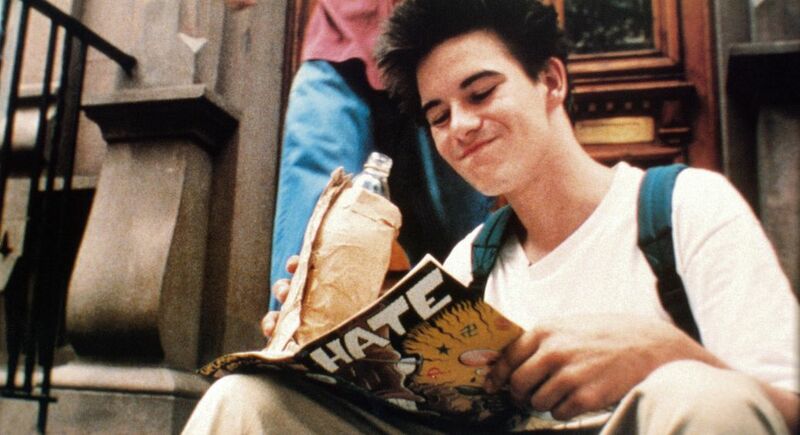 Justin Pierce’s crooked backwards baseball cap-wearing, 40 ounce-swigging character Casper is one of the most memorable characters from the movie Kids. As awesome as it is to imagine Justin actually downing copious amounts of Old English while walking around in the New York summertime heat, that is not the case. The 40s were actually apple juice, and Justin was not blitzed out of his mind while they were shooting his scenes. The fact that he is such a believable drunk on camera is a true testament to his skills as an actor. The marijuana in the park scene was real, and so were the whippits in the scene where the boys were talking about girls. While Justin Pierce’s drinking in the film was staged, the marijuana and whippits were not. Real weed and nitrous were used because the cast felt that they could not fake being high. This may be one of the few times that real drugs were used during a movie shoot. It’s particularly edgy in the Kids given that many of the cast members were underaged. Because of the innocence of the pre-Internet ’90s era, Larry Clark was able to get away with something that would probably have landed him in a great deal of trouble today. While many people probably assumed that the drugs were props, anyone that has ever tried nitrous knows that the blue-faced drooling in that scene is something that cannot be faked. Before the filming of Kids, we’d skate and hang out at Washington Square Park, specifically at the fountain where the blunt rolling scene took place. New York’s Washington Square Park is a key location in the film. It’s the place where the infamous park scene where the skaters roll the blunt and get in a fight with the basketball player was shot. If the skaters in the film seem perfectly natural hanging out there, it’s because they really did. Washington Square Park was a meet-up spot where skaters would hang out, cruise around, and smoke weed throughout the ’90s. You’ll still catch skaters in the park on a nice day now, but not in the packs depicted in the film—and certainly not openly drinking and smoking pot. That’s something that only existed in the Old New York. 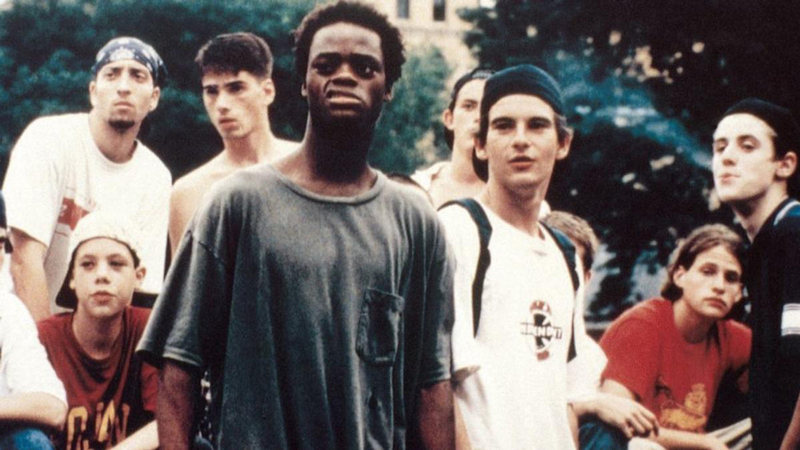 Justin Pierce and Harold Hunter were full of life on, but especially off-screen. Both Justin Pierce and Harold Hunter’s characters in Kids were full of life. This is because their off-screen energy translated so well to the big screen. Harold and Justin were both such natural actors that, had each of their lives not been cut short, they certainly would have gone on to enjoy more success in Hollywood. The world lost Justin to suicide in 2000, and Harold passed away due to a drug overdose in 2006. The movie Kids is great for so many reasons, but one of the greatest is that Justin and Harold’s presence lives on through the film for future generations to experience—legends never die. Follow Hamilton Harris’s work at thekidsfilm.com. Hamilton Harris portrait by Sammy Glucksman (@SDJ), other photos provided courtesy of Hamilton Harris. Supreme Releases a Larry Clark Interview on "Kids"